But until then I will still pop in with the odd post! 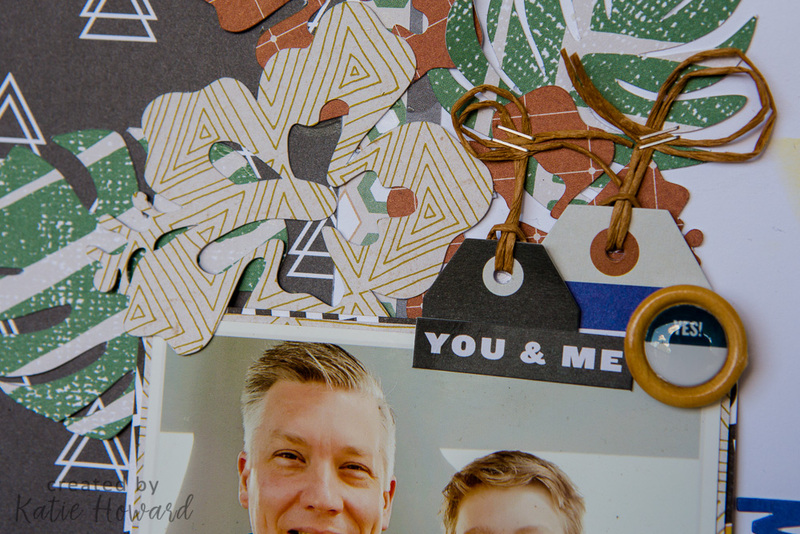 Today I am sharing the January challenge for Scrap the Boys which is to use flowers on a boy page. Easy! I had this great Boys Fort collection from Pink Fresh Studio that I had yet to use, so using that was my first challenge (for myself!). 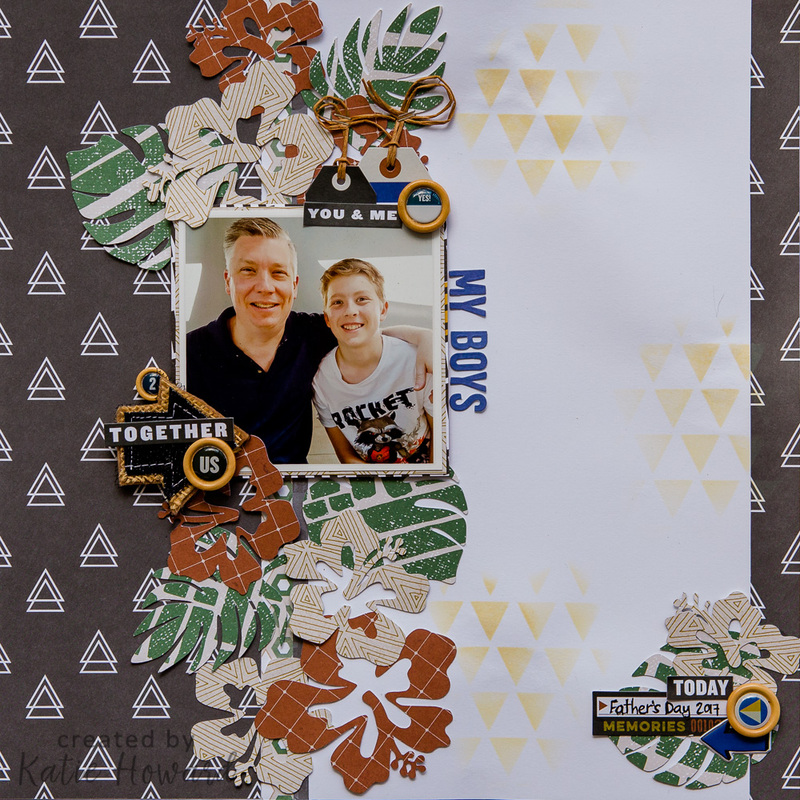 I had this great picture of my two boys and decided that some flowers cut from the patterned papers would be a good way to go. I used a free cut file from Paper Issues and cut some hibiscus flowers and leaves in a couple of different papers and sizes, then I was half way there. I used some distress oxide ink in antique linen with a triangle stencil to break up the white just a bit too. 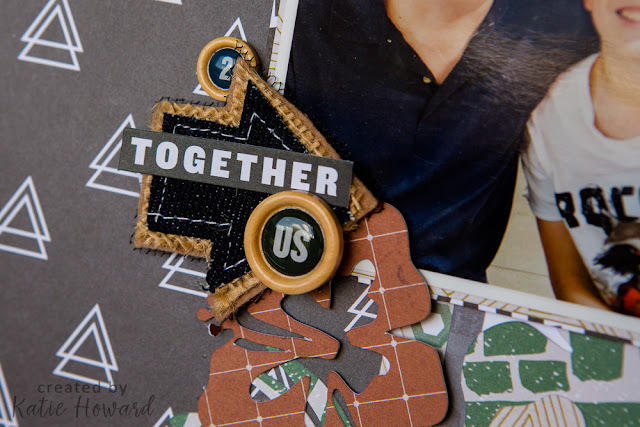 I used mostly the coordinating embellishments that I had for the collection, but added a Charms Creations black and tan arrow (which was a perfect colour addition by the way!) layered with a few bits and pieces. Another little cluster with a wood epoxy, word sticker and some tags. I used some brown paper twine in the tags and secured them with my tiny attacher (one of my favourite tools!). Well, that is all from me for now, thanks for stopping by and catch you later.